As subconsultant to Open Roads Consulting, AEA is designing the communications system for the Pennsylvania Department of Transportation (PennDOT) to implement the Next Generation Advanced Traffic Management System (NEXT GEN ATMS). 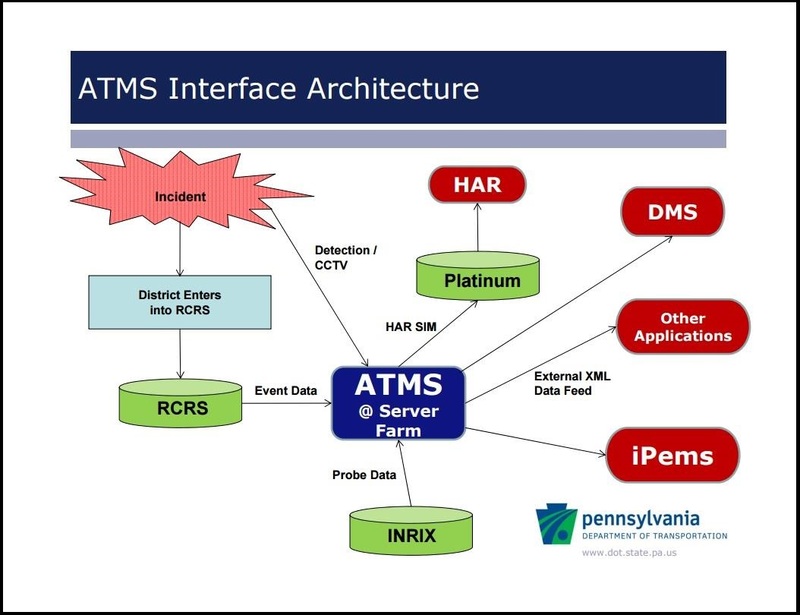 Open Roads Consulting is developing, implementing and testing a single statewide Advanced Traffic Management System (ATMS) software that will allow shared control of all existing and future ITS devices and data throughout the Commonwealth of Pennsylvania. AEA responsible for supporting Open Roads in planning, scoping, concept of operations, systems engineering, field investigations, data collections, findings, presentations, assets data base, systems design, installations, network topology, configurations, hardware/software procurement, testing/acceptance, and deployment. Eastern Region ATMS has been deployed and AEA providing the systems engineering support. Currently working on Central Region implementation.